New Jersey's Qixoni took the melodies and made a full track out of them. He also shared them with his friends who produce: Bit Mummy, from Pittsburgh, Pennsylvania, and Release The Kraken, from the now devastated Jersey shore. Each took the few scraps provided and constructed their vision out of very little. Meanwhile, At Work remixed Qixoni's interpretation. 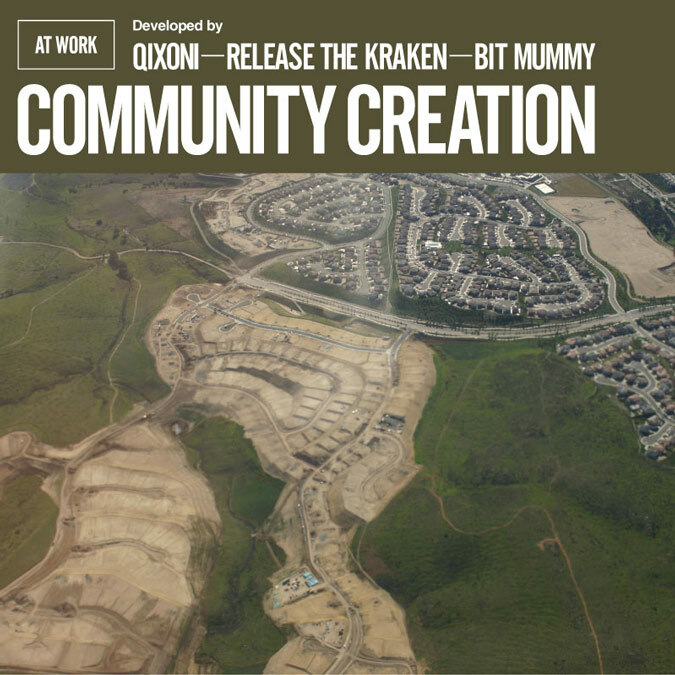 Community Creation (Release The Kraken) produced by Release The Kraken & At Work. Community Creation (Qixoni & At Work) produced by Qixoni & At Work, remixed by At Work. Community Creation (Bit Mummy Remix) produced by Bit Mummy & At Work. Community Creation (Qixoni) produced by Qixoni & At Work. Coordinated and made possible by a generous effort from Qixoni. Thanks to Qixoni the Philadelphia Ambient Consortium for helping to further local creative communities.